Parents and those authorized to use the parents account may opt to set up automatic monthly payments through Electronic Payment Withdrawal, or EPW. With EPW, regular payments are automatically withdrawn from the payor’s bank account every month. There is no fee for this service. To set up an automatic EPW plan, contact your case manager or the EPW Desk at 503-986-0532 to ensure you qualify. Certain rules apply. Learn more and find answers to frequently asked questions below. There are two types of automatic EPW arrangements. Both require an active child support case and approval from all users of the payor’s bank account. The bank must be a member of the National Automated Clearing House Association (NACHA) », and the applicant cannot have any dishonored checks in the past 12 months. EPW 1 is an exception to income withholding. Automatic monthly payments may be set up instead of regular income withholding when the parent receiving support (or the child attending school, if applicable) agrees, and there is no past-due support owed. The payor may request one or two withdrawal dates per month, as long as the full monthly amount is paid on or before the court-ordered due date. EPW 2 is in addition to income withholding or an alternative if income withholding is not possible. Automatic monthly payments may be set up to supplement regular income withholding, or when income withholding is not available because the parent paying support is self-employed, underemployed, or unemployed. EPW 2 may be set up for active cases or those with a judgment only. The case may have arrears, and does not need to be currently accruing monthly support. The payer may elect any withdrawal amount, and may request one or two withdrawal dates in the month the payment is due. Can I fax in a copy of my EPW enrollment form? Yes, our fax number is 503-986-2416. Be sure to include a preprinted voided check or letter from your financial institution with the required information. What happens if my request for EPW is not approved? You will receive a notice in the mail explaining why your EPW request was not approved. How will I know when my EPW is activated? You will receive a notice in the mail prior to the first withdrawal. We must run a “test cycle” through your bank. This test will be run during the first month after the enrollment is approved. Keep making your support payment(s) as ordered until your first electronic withdrawal. Can my EPW be revoked after it is approved? EPW can be revoked for a number of reasons, including two or more dishonored payments or if authorization is revoked. What happens if my payment isn’t available in my bank account? If you do not have adequate funds in your bank account at the time your support is due, we will make two additional attempts to secure the funds. If the third attempt is unsuccessful, your EPW will be suspended and may be canceled. What if I have more than one dishonored payment? If you have two dishonored payments within 12 months, your EPW will be revoked. You will not be able to use EPW for 12 months from the day it is revoked. What does "dishonored payment" mean? A dishonored payment is a payment that was returned unpaid to the Oregon DOJ Child Support Division from your bank. Payments can be returned dishonored due to a lack of funds in your account, a closed account, an inaccurate account number, or similar reasons. Are there any fees charged to me if I send in a payment that is not honored by my bank? Yes. 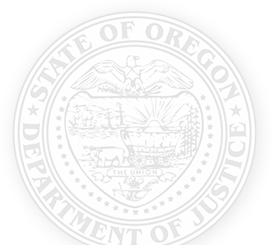 A $35 fee will be charged for dishonored payments, as allowed by Oregon law. This fee applies to checks and electronic payments. Only one fee will be charged per payment, even if we try to deposit it more than once. Contact your case manager or the EPW Specialist at 503-986-0532. The Oregon Child Support Program can provide you with information from forms and other notices in your own language, free of charge. This also includes Braille, large print, and the use of interpreters. To find out more, contact your child support office.